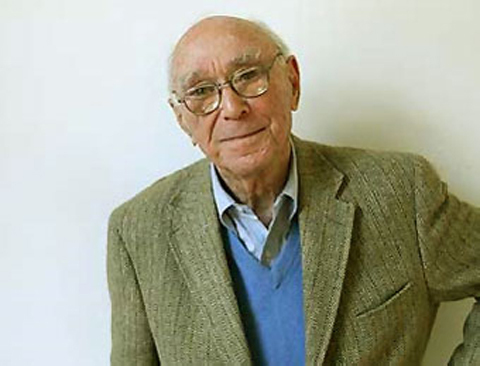 Jerome S. Bruner, an eminent psychologist and 1937 Trinity College Graduate, died Monday, June 5 at the age of 100. His work was crucial to the establishment of cognitive psychology as a discipline, but is also remarkable for its breadth, with major contributions to learning theory, developmental psychology, and education. Scott Huettel and Beth Marsh, Chair and Associate Chair of the Department of Psychology & Neuroscience, spoke with Bruner last year, after the department created the Bruner award in his honor. "Throughout the conversation, he was thoughtful, engaging, and frankly charming," Huettel said. "It was clear he still had very fond memories of Duke -- which he described as a 'daring" place, then and now -- and of the formative role our institution played in his personal and professional development. The field has lost a giant; Duke has lost a wonderful alumnus and person." The Jerome S. Bruner Award for Excellence in Undergraduate Research annually recognizes an undergraduate in their senior year at Duke for his/her excellence in research activities, intellectual curiosity, and future potential for scholarly activity. Dr. Bruner himself selected last year's inaugural winner, Martha Berg. Read about Dr. Bruner's amazing life story in The New York Times.